We have two cabin villages, Spicer and Clark. Each village has four cabins, a lodge, and a group campfire ring. 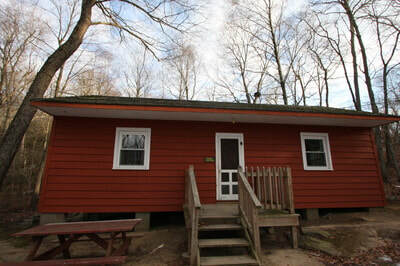 The villages are available during the spring, late summer, and fall, as the cabins are unheated space. They are perfect for youth or family groups desiring a low-cost retreat venue. 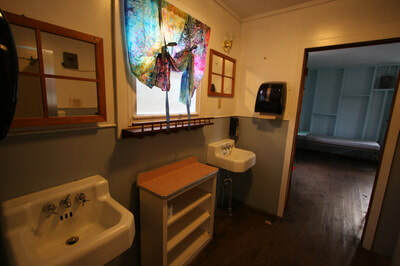 ​Each cabin houses 11 people on single and bunk beds and has a complete bathroom including two sinks. The village lodge provides indoor group meeting space, a kitchenette perfect for snack preparation, and another smaller housing area and full bath (Spicer Lodge can house four additional people; Clark can house eight).